So, you’ve got somewhere to be on Halloween but absolutely nothing to wear. And time is running out. It’s this week. Are these short sentences stressing you out? We kind of hate going out and spending an appropriately frightening amount of money on a costume for one night that will only proceed to gather dust in your wardrobe for the rest of year, until the next Halloween when you refuse to wear it again because you feel pressure to dress as something different even though no one will care if you costume repeat? Yeah. That’s why we’ve put together some costume ideas for you that are made up of items you can source for cheap or simply pull out of your existing clothing collection, and maybe even wear again on days that aren’t Halloween. Misty from Pokemon is a pretty easy one. Take a yellow vest top, some denim shorts, a pair of red converse, and some red suspenders and you’re pretty much good to go. You can even pick up a Togepi doll for less than £5 from Amazon if you want it to feel really complete. Leela is one of our favourite kickass aliens, and you could be her this Halloween with a few simple purchases. A white vest top, some black jeans, a pair of combat boots, a silver cuff, and fantastic pink lipstick are all it takes. Oh, and don’t forget to take out one of your eyes. Or use face paint. To be honest, it would be pretty easy to put together any of the costumes worn by the famous Doctor, but we’ve decided to go for Matt Smith’s incarnation. Take a tweed blazer, some black jeans, black boots, a bow tie, a white shirt, and those red suspenders from your Misty costume and jump in the tardis. Sometimes it can be so boring being one of the good guys. 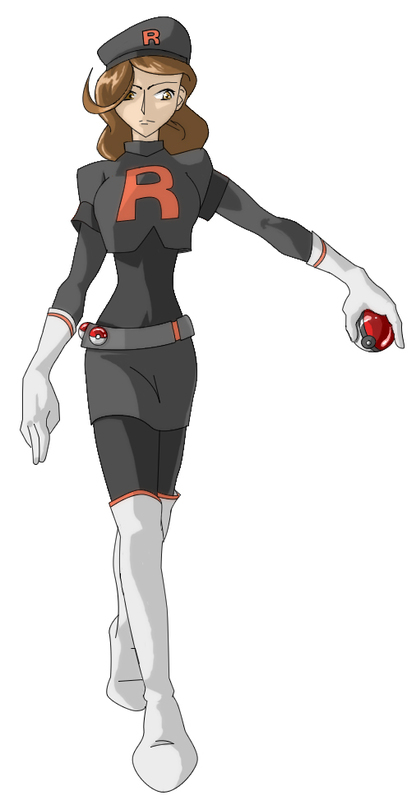 That said, the Team Rocket costumes worn by Jessie and James in Pokemon are a little bit out there, so why not go for the classic Grunt look from the videogames? All it takes is a black top, black jeans, black boots, and a massive red R emblazoned on your chest that you can easily make yourself. You’ll need to make sure you’re wearing an amazing glare as well as the classic outfit for a successful Wednesday Addams costume. Take a white shirt, a black dress, some black tights and make sure you’ve got someone that’s good at plaiting hair to hand. I know, we feel like we don’t have to put on a costume to be called Wonder Woman either, but if you do want to don the official costume all you’ll need is a red t-shirt, some denim shorts, red converse, some star spangled jewellery, and killer red lipstick. Bellatrix might be evil, but she’s got the effortless outfit down. Get a wand, a long black dress that is absolutely re-wearable, a dark mark, tousle up your hair, and get a wild look in your eyes and you’re ready to go. We also love this necklace for a little something extra. We’re probably all a little bit like Daria in some way or another, so we might as well confirm it by dressing like her too. Get a green jacket, some kickass black boots, a yellow top, a black skirt, and some wire frames to give your friends withering stares through. If you can convince a hairy friend to join you as Chewbacca in this venture, kudos, but if not you can keep Han true to his name and fly solo. All you need is some dark denim, a black gilet, black boots, a cream shirt, and a handy pistol. The Scooby Gang would be lost without Velma, even if she is a little useless without her glasses. Her trademark outfit is wonderfully easy to put together as a costume, and actually, it’s not too bad as far as Autumn fashion goes. Geek chic is making a return. A red skater skirt, some orange socks, an orange polo neck, some red shoes, and, the absolute essential, a pair of black wire frames, and you’re good to go. Ain’t nobody got time to go outside in October wearing a shell bikini. But we do love Ariel. What to do? Dress as hipster Ariel of course! She was brushing her hair with a fork before it was cool. It’s still not cool, that’s how ahead of the game she is. For Hipster Ariel you can really use your imagination, but we’ve suggested some thick glasses, green shorts, a purple top, green trainers, black braces, a neat shell necklace, and if you want to go all out there’s a red wig available too. Make your Halloween a bit more of an adventure by dressing up as Finn! If you have an adorable dog companion, even better. A blue top, blue shorts, some white socks, a back pack, and an adorable point eared hat are all you need. This iconic figure of feminism makes for an easy to build and empowering costume. And if anyone asks you who you’re supposed to be, you absolutely get to pull the pose. Come with some slogans prepared. A denim jumpsuit, a hair scarf and some red lipstick. That’s all it takes. We hope this will take at least some of the stress out of your Halloween this year. Have fun!